This grooved, 5/8" diameter pin fits 2" square receiver hitches. Includes retaining clip. Zinc finish resists corrosion. 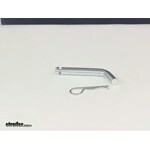 Call 800-298-8924 to order Curt hitch pins and clips part number C21504 or order online at etrailer.com. Free expert support on all Curt products. Guaranteed Lowest Price and Fastest Shipping for Curt Pin and Clip for 2" Trailer Hitch Receivers - Class III, IV, and V - Zinc. Hitch Pins and Clips reviews from real customers. This grooved, 5/8" diameter pin fits 2" square receiver hitches. Includes retaining clip. Zinc finish resists corrosion. 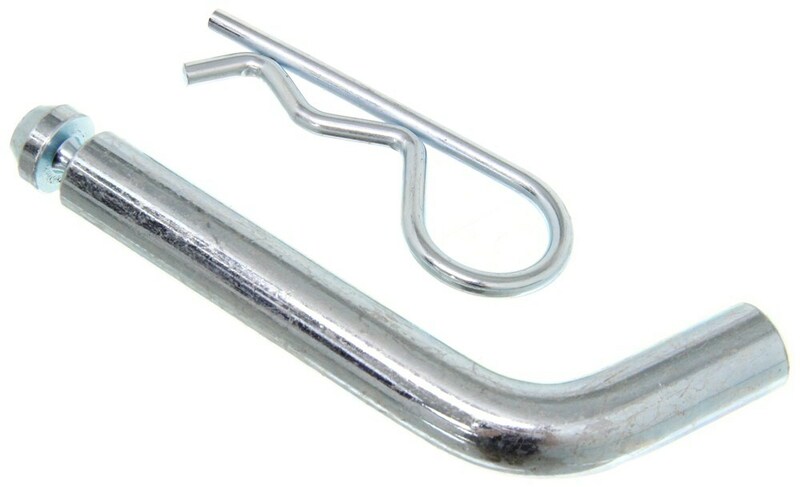 Secure your ball mount or other hitch-mounted accessory to your trailer hitch with this sturdy steel pin. This 5/8" diameter pin fits 3" hitches. Zinc-plated finish offers corrosion resistance. Retaining clip is included. Hitch Pin 1/2" x 3-1/2"
Hitch Pin 3/4" x 6"
Today we're going to be taking a look at part number C21504. This is the Curt Pin and Clip for 2" Trailer Hitch Receivers. It's designed for Class III, Class IV, and Class V hitches. It's going to give us a diameter of 5/8 of an inch. 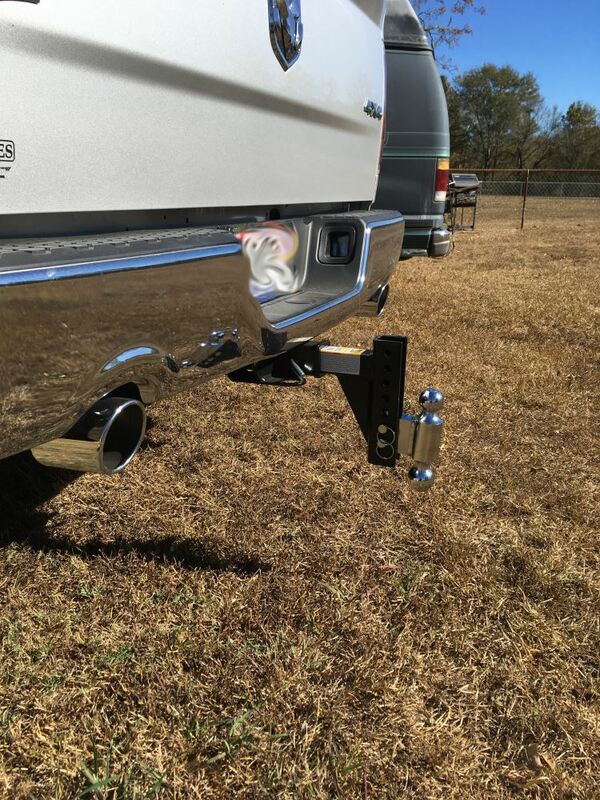 Hitch pins are designed to secure ball mounts and accessories to the receiver of your trailer hitch. This one in particular is designed to work with 2 inch by 2 inch style trailer hitch receivers. It's going to give us a usable pin length of 2 and 3/4 of an inch and then here on the end, it's got the grooved indention. That way, it's going to allow us to easily attach our clip. The retaining clip is included. The unit's made from a steel construction, and it's going to have a nice zinc plating on it, so it's going to resist rust and corrosion and last a long time. We're going to go ahead and use it to secure our ball mount inside of our hitch. I just want to show you how this unit works. 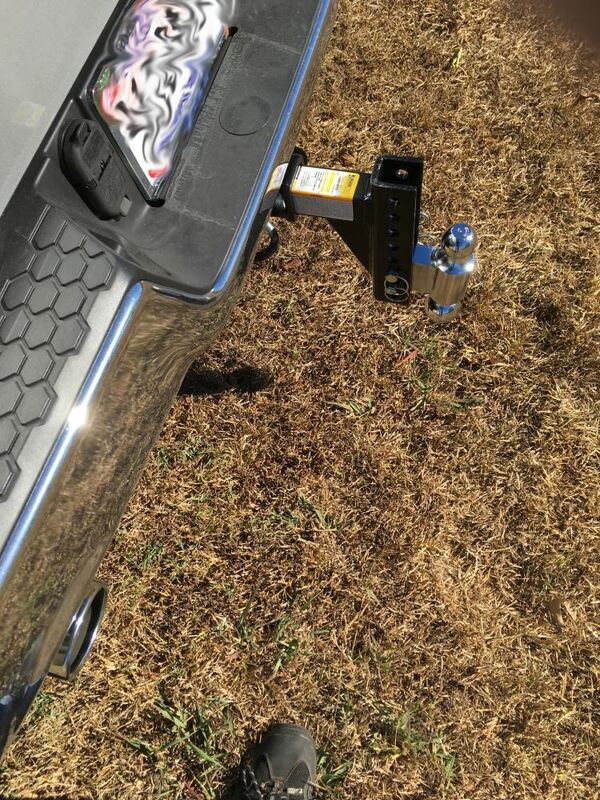 If we place our ball mount inside of our hitch, we're going to want to line up our pin holes, and you can see, without anything installed to hold it in the hitch, it could slide out very easily. It's also going to offer a lot of movement inside the hitch, so we can take our 5/8 inch pin and clip, slide it through the holes, and secure it with the clip on the other side. We're still going to have movement inside of our hitch when it comes to our ball mount or our accessory, but we don't have to worry about it coming out of the hitch. The pin and clip is designed to secure it to the hitch installed on our vehicle. That's going to do it for our review of part number C21504. This is the Curt Pin and Clip for 2" Hitches. .
Order: RelevanceNewestRating - High to LowRating - Low to High This grooved, 5/8" diameter pin fits 2" square receiver hitches. Includes retaining clip. Zinc finish resists corrosion. Still going strong! Great product from a great company. Do you have a question about this Hitch Pins and Clip? The difference between the two pin and clips is the length. The part # C21500 has a useable span of 3-3/16 inches and the part # C21504 has a useable span of 2-3/4 inches. Good news, I can help you figure out which hitch pin you will need for your Curt Hitch # 13160. The # C21504 is the recommended hitch pin for your 2 inch Curt Class III Hitch. The pin measures 5/8 inches wide, and the diameter of the hole on the hitch is 5/8 inches as well. If you would like to get a locking hitch pin to secure the item you are transporting from theft, I would recommend the Deadbolt # 40107. Highest quality hitch pins and clips for the best price. Most detailed, accurate hitch pins and clip information available.